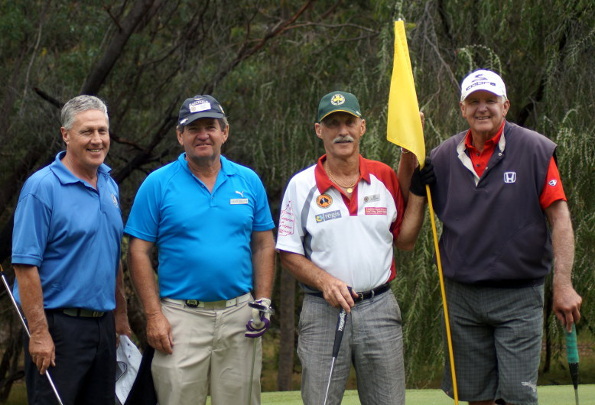 From humble beginnings in the early 80’s the Australian Veteran Golfers Union has become a highly successful national organisation fostering the interests of more than 32,000 over 55’s golfer across the country. One of the AVGU’s main tasks is overseeing the staging of an annual National Championship that rotates around the states and territories. The first national championship was held in 1990 in the Murray River border region of NSW. The 2015 championship to be held in Darwin will be the 26th edition of an event that has become an important annual pilgrimage for many older golfers as it continues its “laps” around Australia. The championship moves to Adelaide in 2016, the Gold Coast in 2017 and Port Stephens in NSW in 2018. Graeme Manning, Secretary/Treasurer of the AVGU, reports on the organisation’s proud history. IN June 1981 a Sub-committee of the Australian Veteran Golfers Association comprising delegates from NSW, NSW Country, Tasmania, South Australia and Queensland met at the Australian Golf Club in Sydney. Reports relating to the programs of the QANTAS Australia International Seniors Golf Championship and an Australian Championship, previously known as Associations Week were tabled. It was resolved there was a necessity to have a national body, with a constitution to be drafted for another meeting. Things moved fast with the next meeting held in October, joined by a delegate from the Geelong Veteran Golf Association. A draft constitution was presented, discussed for six hours, and referred to the next meeting. It was also advised WA had been advised of the Association, but no reply had been received. There is no record of when a constitution was finally adopted although, in a June 1982 meeting, the title Australian Veteran Golfers Union was adopted. At that same meeting the establishment of a Victorian Branch was advised and the ACT was represented and made a commitment. 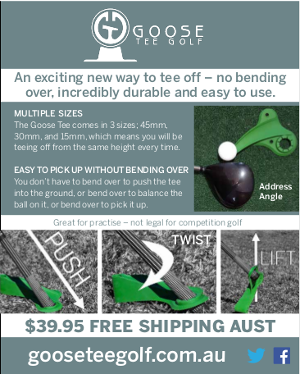 ‘Veteran golfer’ is defined as being an amateur golfer who is a member of a golf club affiliated with Golf Australia that is prescribed by AVGU, holds a current GA handicap and is a member of an affiliated State or Territory veteran golfer association. The national membership, as at November 2014 was 32,441, with state and territory wide competitions utilising hundreds of golf courses. The AVGU is incorporated in the ACT with an Executive comprising of one Delegate from each of the affiliated associations in all eight States and Territories. The basic objectives of the Union are promoting the game of golf generally, assisting and coordinating member States and Territories in the administration of the game of golf for veteran golfers and providing the guidelines for the conduct, control and management of the annual AVGU Championships. Each affiliated State and Territory association is autonomous in the administration, control and conduct of their competition roster that does vary from association to association. Currently NSWVGA and QVGU offer lady membership. The only common factor between the associations is that competitions are conducted on week days. The National Championships are conducted on a rotation between states and territories. The upcoming schedule is – 2015 Darwin, 2016 Adelaide, 2017 Gold Coast, 2018 NSW, 2019 Tasmania, 2020 Victoria, 2021 WA, 2022 ACT.